Independent mechanics generate about $62 billion in annual revenue and serve two out of three vehicles in circulation. Car repair is a perfect example of an industry where reputation (and keeping a good name offline) matters more than anything else. A good name is of particular importance for independent car repair shops without the advantage of brand association available to the service department of car dealerships. For consumers driving vehicles with expired service plans, independent car repair shops are the go-to source for auto repairs. The decision to go this route is influenced by two factors: trust and cost. Cost and pricing strategy is generally straightforward and has minimal variation within the same market. The cost customers see is the combination of labor hours, parts, and fixed expenses like facilities. These three leave very little wiggle room. What matters most, then, is how much a customer trusts. The more trustworthy you are, the more elastic you can be with pricing. Studies show that businesses with a high trust factor, specifically trades, can charge upwards of 20 percent more than the competition if the customer feels the services provided are reliable and of high quality. Before we take a closer look at how to select and manage third-party review sites for car repair shops, we need to touch on something very important. Great reviews are based on great experiences that happen repeatedly. You cannot expect to have a glowing online reputation if you have not tackled operational issues that might negatively reflect in customer interactions. That is, don’t begin proactively engaging in online reputation management until you have audited your internal processes and have a clear customer experience strategy that is both repeatable and scalable. Thanks to advances in data capture and customer relationship management software available to repair shops, building a campaign designed to measure customer satisfaction is as easy as pie. In fact, you can find out a great deal about the customer sentiment toward your shop with a single question. The NPS (Net Promoter Score and System) asks your customers how likely they are to recommend your business to a friend or colleague, and gives the customer the option to rate you from zero to 10, with zero being not likely at all, and 10 being absolutely likely to recommend you. Because of its simplicity, the NPS can be pushed to all of your customers, and you are likely to have a high rate of responses that will give you clear insight on how customers feel about your repair shop. Consider incorporating the Net Promoter Score to your customer experience strategy before you go full-steam ahead with your automotive reputation management strategy. A competitive analysis will help you identify the most relevant third-party review sites for your area. The sites may or may not be the same for all searches, but now that you know where the action is taking place, make it a point to join the game. There are a number of review sites that you don’t want to neglect, some because customers conduct searches for preferred business within the site instead of using a search engine, others because they are very search-engine responsive. The reason you want to be on Google My Business is that it will help you move up in priority when customers conduct a search without including a city. By default, Google provides results that are geo-sensitive. You also want to be on Google My Business to manage your Google Maps listing, which provides mobile users access to one-click phone, one-click directions, and direct access to your website. 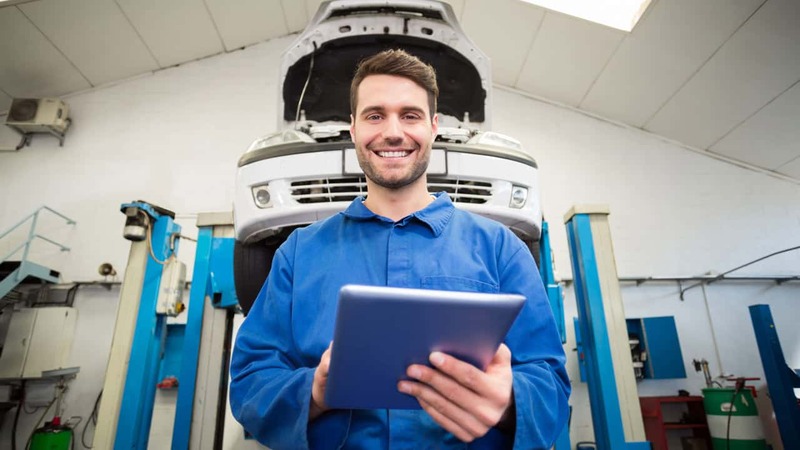 Facebook makes sense for independent auto repair shops. It provides you with a two-way forum to interact with your customers by immediately answering their questions, facilitating a social share, and exposing them to promotional efforts. In addition, Facebook reviews have a uniquely social nuance, since all of the social networks of your customers will have immediate visibility to their opinion about your business. Our favorite is SureCritic. It is a great place to position your independent repair shop and connect with potential customers in your area. Keep in mind that when deciding which review sites are best as part of your reputation strategy that some of these websites charge a flat fee or a fee per referral. When considering the value of a website as part of your business strategy, take into account your cost per lead and potential ROI. Reviews matter. Become familiar with the policies of each site you have decided to include in your automotive reputation management strategy, and if the website allows it, be proactive in collecting customer reviews. The more high-quality reviews you have, the more likely it is that a shopper will contact you to receive a quote and possibly book you for a repair. Another great resource is hiring a reputation management company to assist with the day-to-day management of your online brand presence. Review and reputation management are central to the growth of your shop. Be intentional and strategic in your approach, and your efforts will quickly pay off. I never thought that Google+ can be of any use, but it seems that I was wrong. Being able to pick mechanic after reading reviews is something really I’m looking forward to. I don’t wont some ignorant mechanic to dig through my engine and reading reviews would be really helpful. Car repair woes are as common for any customer. To trust on a mechanic or a repair shop is make a life time choice me would feel. Review customers would rather grow the trust factor for any mechanics. Facebook is a very good platform to market oneself or ones product. The viral reach it has helps in getting visibility sooner.